Coming January 1, 2019, the Federal Transit Administration (FTA) is increasing its annual random drug testing rate from 25% to 50%. This change is due to an increase in the industry’s “positive rate” as reflected in random drug test data for calendar year 2017. This is the first increase in random testing rates since 2007 and a direct result of positivity rates increasing to 1.06% in 2017. The 2016 DOT drug testing report of 5.5 million lab-reported random DOT tests was the highest overall failure level since at least 2009, including year over year increases in three of five drug categories. At SAPAA (Substance Abuse Program Administrators Association annual conference, the United States Coast Guard (USCG) hinted that their positivity rate is at 1.06%, and thus, rates “might” (will) increase for them as well. FMCSA is likely to see another year of increase in positive tests as well. Two years ago, FMCSA’s most recent survey data available, estimated positive usage rate for drugs was 0.9 percent. As of January 3rd, 2019, FMCSA is not increasing the DOT Random rate. It will stay at 25% random drug and 10% alcohol. In accordance with 49 CFR 382.305(e)(2) if, in the future, the reported positive rate for any calendar year is equal to or greater than 1.0%, the FMCSA will increase the minimum annual percentage rate for random drug testing to 50% of all driver positions. Once raised, the annual percentage rate for random drug testing of all driver positions will not go back down to 25% unless there are three years in a row of average positive drug test below 1%. 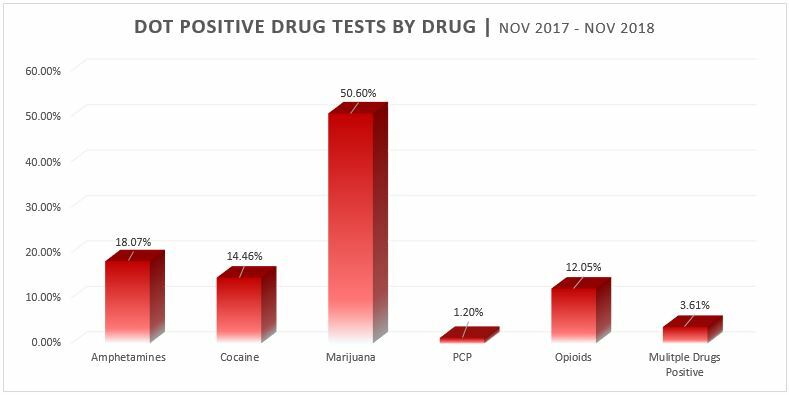 At CleanFleet, we saw a 1.11% DOT positive drug test percentage for 2018. Quest Diagnostics has also seen overall Federally-mandated safety sensitive workers have a 2.1% positive drug test percentage in 2017. Let us also not forget that 2018 will be the first year of data with the newly added synthetic opioids being tested for and we are likely to see the average positive rate to increase further. 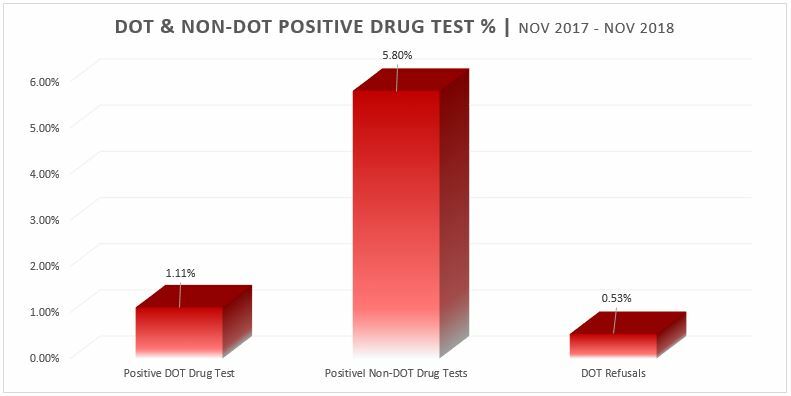 While opioids is a national issue today, we are also seeing the effect of legal medical and recreational marijuana effecting positive drug test results for DOT safety-sensitive employees. CleanFleet’s Nationwide Consortium results of positive DOT (federally mandated) drug tests for 2018 has found that 50.6% of all positive DOT (federally mandated) drug tests were due to Marijuana in the specimen. In 2017, Quest Diagnostics data for Marijuana found in Federally Mandated positive drug tests was at 40%. Although we will have to wait another month or so to confirm what FMCSA will find, we expect employers governed by the agency will soon be drug testing more of their staff for years to come. 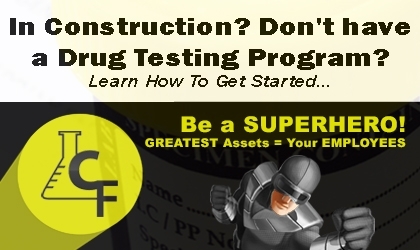 If you are not already a CleanFleet Consortium member, it is time to consider switching to the experts to be on your side and make sure the drug testing process is working as quickly, smoothly, and legally as possible. Learn more about our DOT Consortium Membership or call to enroll at 503-479-6082. There are 2 comments. on "FTA Increasing Random Drug Testing Rate in 2019, FMCSA Likely to Follow (but didn’t)"
Did the FMCSA raise the testing rates? As of today (Dec 28th), the FMCSA has not released 2019 Random Rates. We assume they will raise it, but this announcement may not come until mid-January. This is the only DOT mode that has NOT release their 2019 random rates. Stay tuned! Research conducted by the Society for Human Resource Management shows that 50 percent of all resumes and applications contain false information.